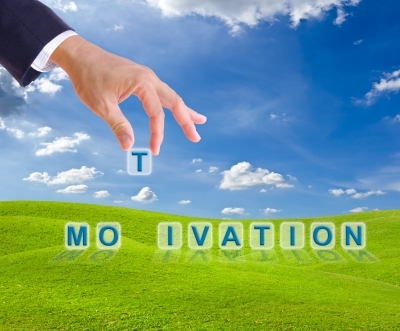 Motivation is a key component for any kind of success, no matter what the venture. In the competitive business world of today, however, it is an enormously effective tool, and its applications are much more obvious than anywhere else, perhaps, because the effects are immediately visible. Motivation enters the picture when it’s necessary to begin something. It has the power to sustain teams while the project is underway, and it can serve as an inspirational seed for the next project or challenge. It comes in useful, then, for any stage of a process, and it certainly has a role in sales training. The best training will find ways to bring the focus back to motivation, no matter what the technique, or what the goals of the sales team might happen to be. The four components of selling—based on actions, appearance, content, and method of delivery—all tie into developing a sales team that is highly motivated. Interestingly enough, these are also the natural products of a motivated sales team. Motivation, as defined by Dale Carnegie, isn’t simply a theory, and it’s never successful when it’s designed with manipulation in mind. It is something that comes from a great love for the work, and a real pleasure in working with clients and customers. It’s also a daily practice. A motivated seller is effective only insofar as they are able to truly connect to the client in a meaningful way, because the bottom line in any kind of negotiation is based in content. When the content is there at the beginning, then it’s never a matter of manipulation, but simply a matter of finding the right path to the goal. When a goal is met again and again, motivation comes naturally. When things become challenging, then motivation is an excellent tool to get things jump-started again. For these reasons, it can be more valuable than gold. Learning how to motivate a team, and teaching people to motivate themselves is the golden path for moving from one success to another.